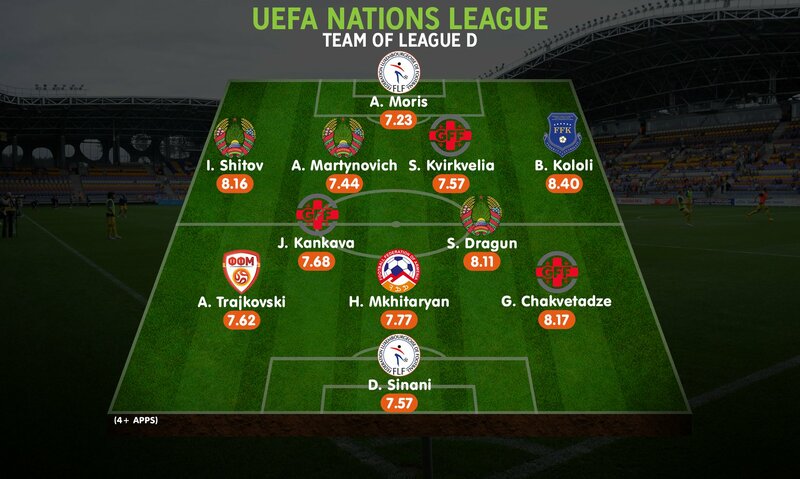 Armenian national football squad captain Henrikh Mkhitaryan is on Whoscored.com’s team of the group stage in Division D of the UEFA Nations League. The Arsenal midfielder scored 1 goal and made 4 assists in 6 appearances at the Nations League group phase, which has concluded. Armenia, however, placed second in Division D and ended their Nations League campaign. Macedonia took first place and advanced to the next round. Gibraltar and Liechtenstein were third and fourth, respectively.